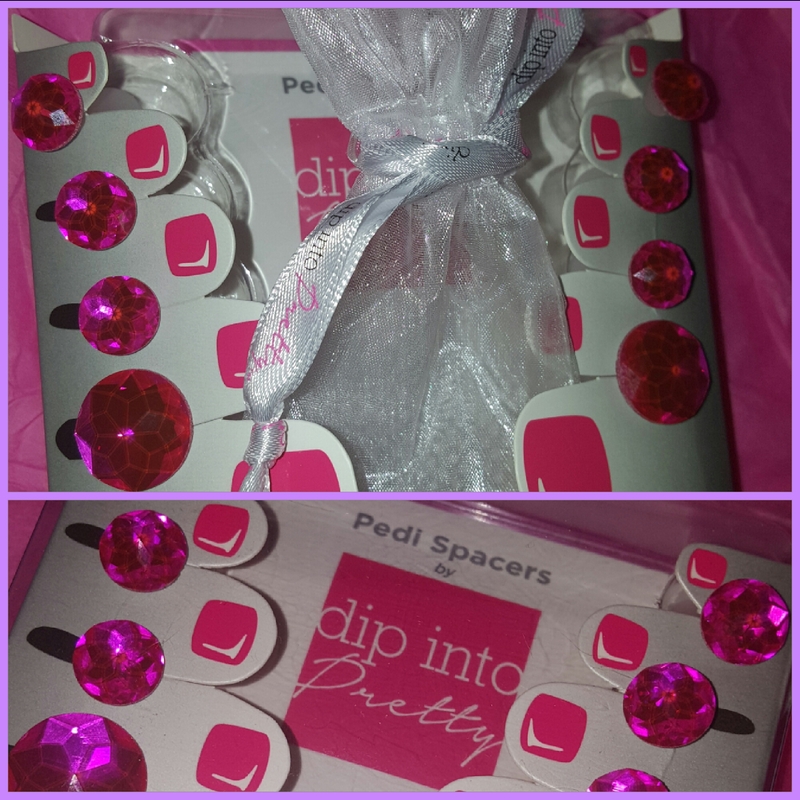 Dip into Pretty Pedi-Spacers are super comfy. I like that They are all single pieces and made with Silicone. You can move around easier in them,No walking around like a penguin!Lol So much Better than when wearing the foam flimsy toe separators.I haven’t had any smudges while wearing them either. There are lots of different pretty designs to choose from.They are so unique&cute,a definite must have!! #SupportTheCause and Order your Dots of Perfection Pink Bling Toe Separators at the link below. If you haven’t tried a glass nail file yet they are a Must Try!! I’m so excited that I was able to try these amazing files.They are made of Czech Glass.I received a Big Regular Size file,A small file&a Glass Cuticle Pusher.All 3 came in the nice cases shown in the pic.Delivery was quick&they were wrapped safely so they wont break during shipping. 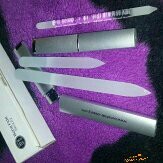 These files are not harsh on the nail,doesnt leave jagged edges&So far they are better than my regular nail files. I used these my new BFB files on Acrylic Nails. At first I didn’t think glass nail files would give the shape i wanted on Acrylic nails&I thought it would take alot longer to file.I also didn’t like that feeling of nails on chalkboard but it didn’t give me that feeling.So when I used them to file my nails for the 1st time I was so surprised at how good they worked! My Nails looked so much nicer,the shape was alot betters.Plus I filed my nails faster than I would using a regular emery board file.Thats a big plus in my book because It takes me awhile to get the right shape with a regular file.I usually switch to about 3 different grits when filing. With these all i needed was just the glass file&a Buffer! They do work just as good on Natural Nails to. They seal in the top layers of the nail to prevent splitting&chipping. You can wash them & reuse them much longer than a Regular file. Its good to have files that you can sanitize,especially if your a nail tech or if you do nails on friends&family like myself. I wash my glass files using a mini nail scrub brush,antibacterial soap & warm water. I let them dry on a clean hand towel or paper towel.If you prefer to use regular nail files make sure you purchase the ones that can be washed/sanitized even of you only do nails on yourself.You can still get bacteria buildup in your files.You can find them at sally beauty supply.